The next time you visit the Cape Winelands and crack open a bottle of Chardonnay, take a look around you. 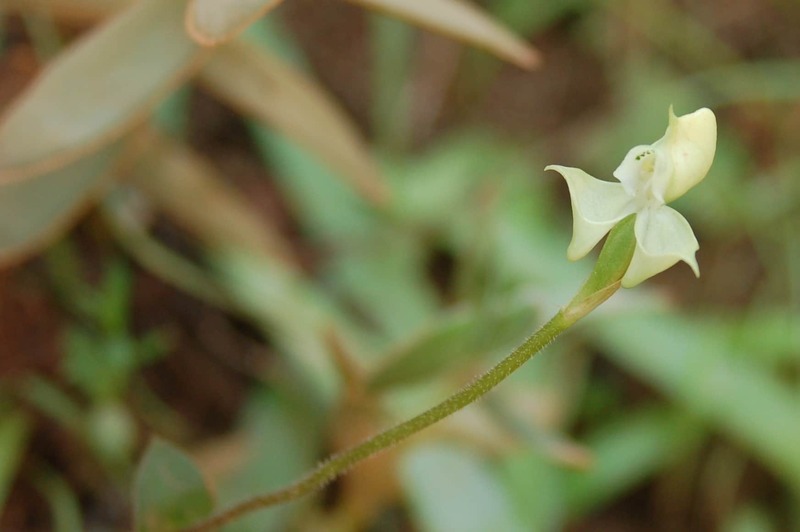 The landscape today is a pleasant agricultural medley of vineyards, orchards and wheat fields but 400 years ago it was shrubby grassland covered in big, wild animals–including the one that lent its name to the landscape: the rhinoceros. Renosterveld in the Overberg region; the absence of large herbivores means the dominance of renosterbos on the hills, a tough & bitter-tasting bush once used to expel intestinal worms. If you’re having trouble saying the word, try ‘ruh-NOSTER-felt’. Translating literally into ‘rhinoceros-field’ but better phrased as ‘land of the rhinoceros’, it is a type of vegetation unique to South Africa’s Western Cape. The appealing name could refer to the fact that rhinos lived in it or because the grey-coloured shrubbery reminded European observers of a rhino hide. 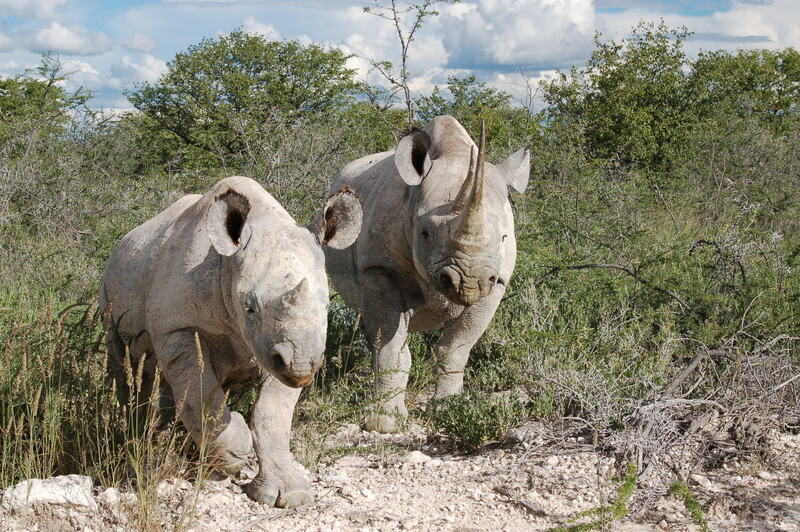 The Black Rhino, which was once found in the Cape, is – to be honest – grey in colour. Hard to believe but Black Rhino used to browse the shrubbery surrounding Cape Town; early explorers & botanists were forced to climb trees to avoid being flattened by them. 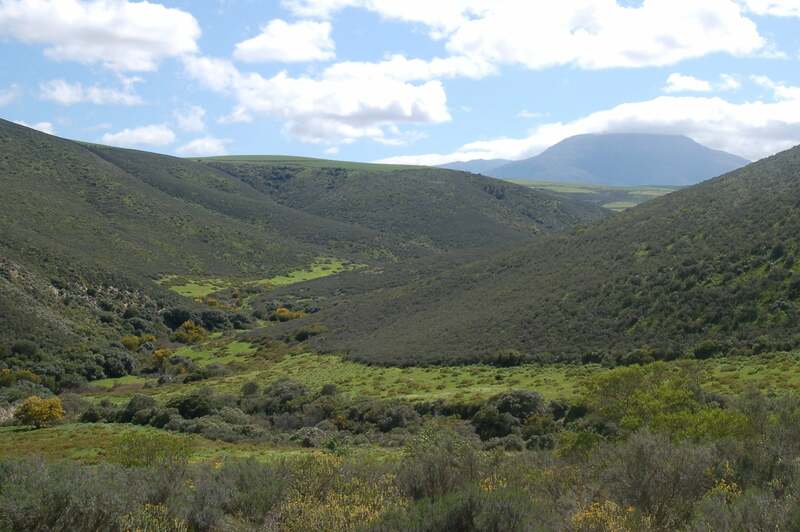 Renosterveld is similar to Fynbos in appearance–bushy and treeless–and sits with Fynbos as part of the Cape Floral Region, a collection of local vegetation types (biomes). It is however very different in ecology. Whereas Fynbos plants thrive on acidic, sandy and nutrient-poor soils, Renosterveld plants are partial to fertile clay soils, derived from ancient shale rocks. And this fertility, plus a preference for areas with relatively high rainfall, means that Renosterveld has evolved two very interesting botanical aces up its sleeves, so to speak. 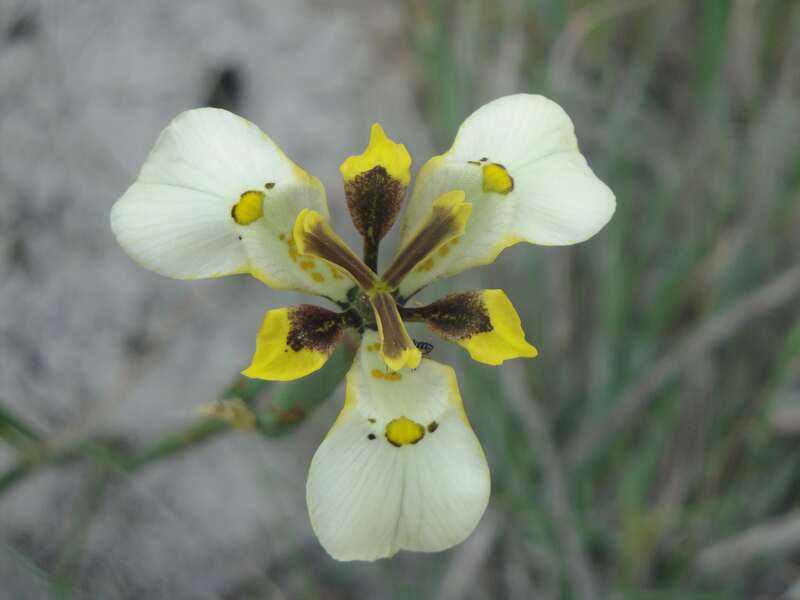 Firstly, while it is true that Renosterveld lacks the floral extravagance of Fynbos (there are very few proteas or heathers in Renosterveld for example), what it does have is geophytes: plants with underground storage structures such as bulbs. 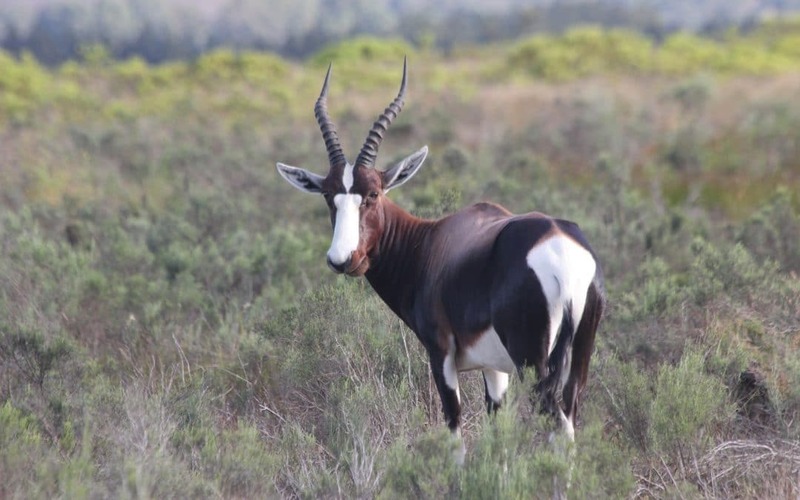 There are hundreds of them species-wise – irises, oxalis, orchids, hyacinths and amaryllis – and they flower in their thousands during the Cape’s winter and early spring months. And even better after a fire. 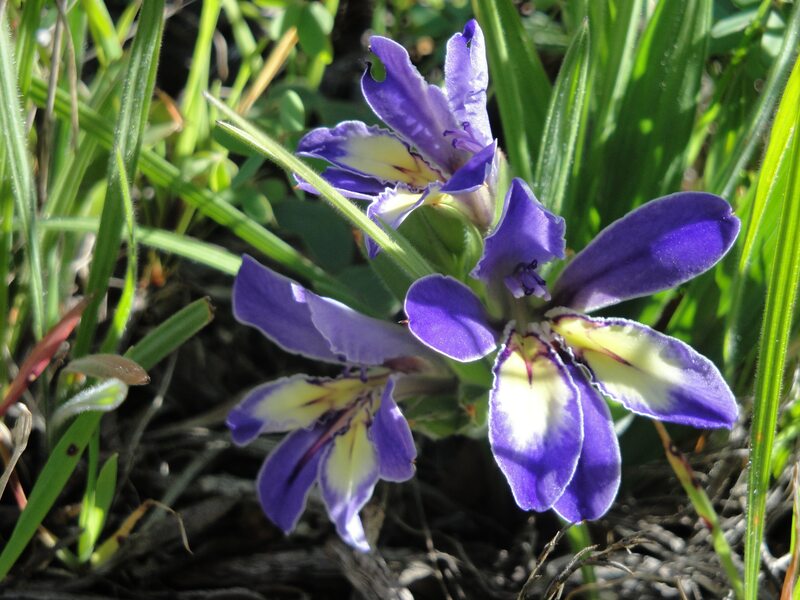 Responding to winter rains, members of the Iris family are particularly common in Renosterveld, including this Babiana, so-named after baboons that dig up their underground corms to eat. And secondly, Renosterveld has grass. Not the stuff in your lawn but close enough and grass means grazers, and grazers mean predators, and that means scavengers. These days we get pretty excited in the Cape Winelands when we see a mongoose dart across the road but back here in the 17th-century, lions were hunting antelope such as the bontebok seen in above in the title image while hyenas and vultures loitered in the background. 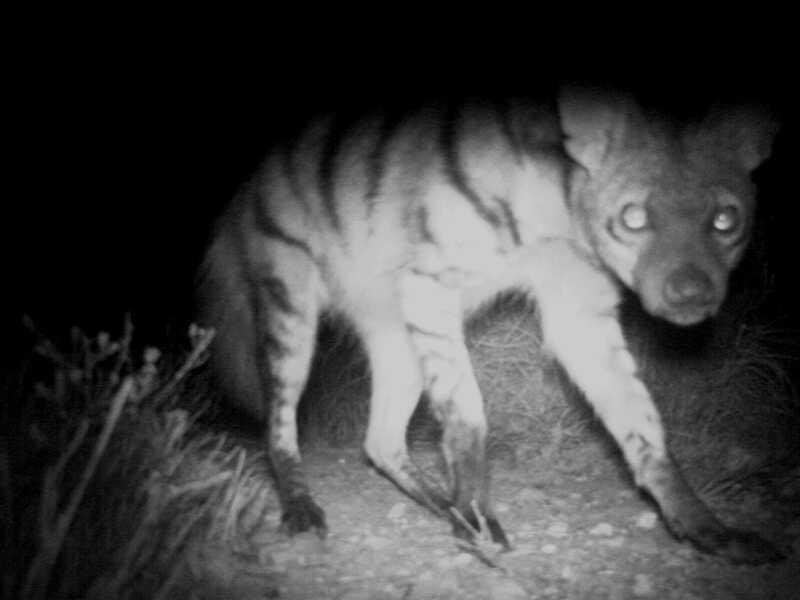 Caught on a camera trap in the dead of night in the Overberg, this Aardwolf (an insect-eating hyena) is a poignant reminder of the mega-fauna, the big animals that used to live in Renosterveld. The Renosterveld’s grasses and fertility were, predictably, the reason for its downfall. Prior to the colonial era, Renosterveld had been used for thousands of years by the indigenous San people – ‘Bushman’ is the older and less elegant term for them – as well as Khoikhoi herders (pronounced coy-coy). Renosterveld is similar to Fynbos in that it requires an occasional rejuvenating burn and the Khoisan (the collective name for South Africa’s first people) used fire as a tool to encourage fresh grazing for their livestock and to attract wild game to hunt. 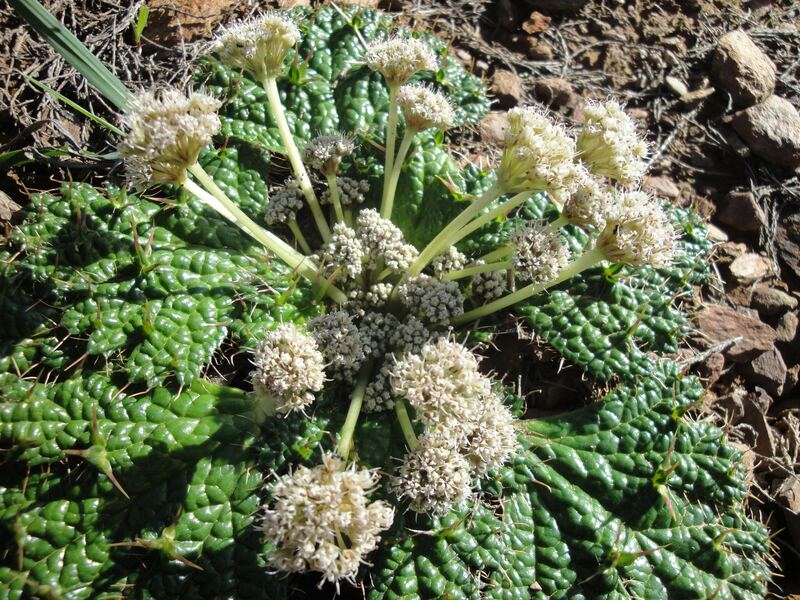 Positioned somewhat oddly in the Carrot family, Arctopus echinatus is called Pokkiesdoring – ‘Pox-prickle’ in Afrikaans; its root was dried, powdered & used to treat syphilis, apparently quite successfully. The arrival of European settlers sealed the fate of the Renosterveld. Its animals were no match for modern firearms and its soil helpless against the advance of the mechanized plough. The Khoisan were driven off the land, devastated by disease and absorbed into colonial society, their melodic click-languages replaced by Dutch and English. Renosterveld, once found from the foothills of Table Mountain to the edge of the Karoo Desert, retreated until only 3% of the original biome is now left, mostly in pitiful patches amid an ocean of agriculture. 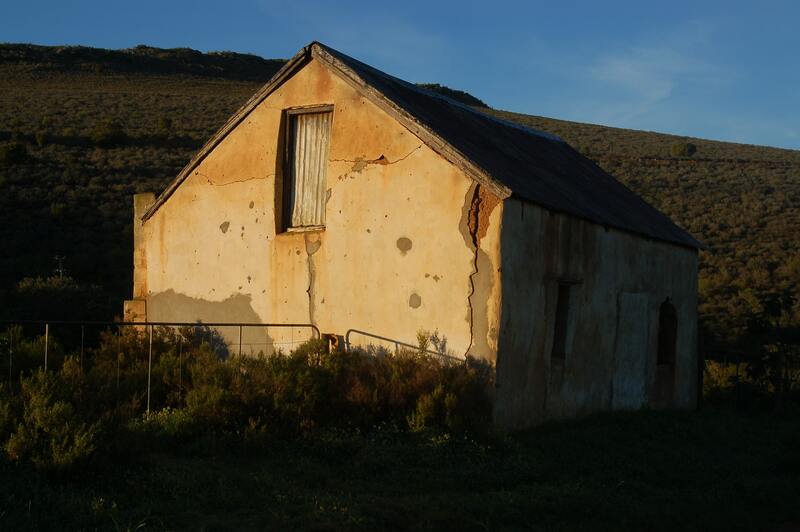 The mark of man is inescapable in Renosterveld country but farming here in the old days was a precarious existence & deserted old farmhouses are part of the scenery. But it’s still there! And in good hands; much of the remaining renosterveld lies in private reserves and is protected with passion. You can hike in the stuff at Porcupine Hills or Bartholomeus Klip both offering accommodation and wildlife-filled Renosterveld just an hour and a half from Cape Town. 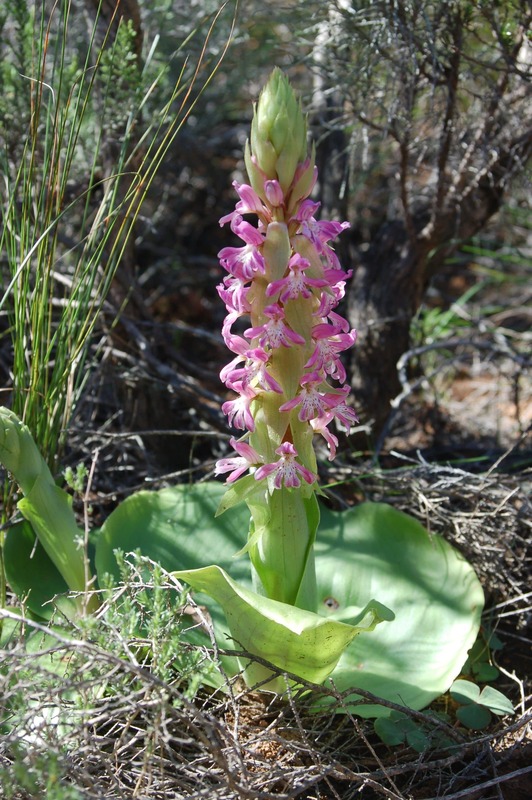 Tucked away under bushes, a dainty Disperis orchid makes a rare & brief appearance in springtime Renosterveld. And if you are in Cape Town you can see Renosterveld for yourself. It’s at its best during the cooler, wetter months between July and October, even I have to admit that Renosterveld is a bit dull during summer – but all you need do is take a drive to Lion’s Head and park at the kramat (a Moslem shrine), located about halfway along the road to Signal Hill. Stroll along the path towards Lion’s Head and you’ll be surrounded by the stuff. It’s the usual mix of grasses and bushes, most of which are in the Daisy family (Asteraceae) – including the ubiquitous renosterbos (Elytropappus rhinocerotis) that was perhaps browsed by black rhinoceros when they lived here. Another orchid, Satyrium erectum, makes a bolder statement a little later in the year. They are of course long gone, the rhinos, along with the elephants, wild dogs and zebra herds. But Renosterveld remains – just – as our last tangible link with a vanished landscape; the last echoes of the land of the rhino. The pale colours of this Morea (in the Iris family) hint at an insect pollinator; perhaps this bizarre flower mimics a female wasp or beetle & relies on short-sighted males to do the job for them. How and when is the best time of year to recognize rensoterveld – to know whether it exists on a piece of land or not?